We typically try to avoid plastics and chemicals in any products that we buy. For the most part this is pretty straightforward. This year, we have decided to try to eliminate a class of chemicals called phthalates from anything we consume. Phthalates are believed to be linked to cancer as well as endocrine system problems. So it makes sense to avoid these compounds whenever possible. But eliminating all phthalate-containing products from our home seems to be more of a challenge than we anticipated. So what are phthalates good for? 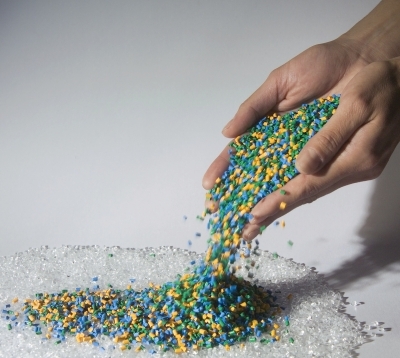 Phthalates are part of a group of compounds known as “plasticizers” because they give plastic its flexible properties. Commonly used with #3 and #7 plastics, PVC, and vinyl, phthalates are present in many different types of common materials. You are probably familiar with that new car smell that everyone loves—the smell is actually largely comprised of phthalates. Some commonly used phthalates are DBP (di-n-butyl phthalate), DEP (diethyl phthalate), DEHP (Di 2 – ethylhexyl) phthalate) or bis (2-ethylhexal) phthalate, B2Bp (Benzyl butyl phthalate) and DMP (dimethyl phthalate). Bisphenol A (BPA) is another plasticizer you may have heard of, though it is not a phthalate. You can try to avoid products with these chemicals in them by looking on the label, but this can become tricky because manufacturers aren’t required to list them. This means that scanning the ingredient label for some of the more common phthalates won’t do you much good. What are phthalates not good for? Phthalates act as endocrine disruptors. Phthalates interact with the endocrine system in several complex ways, especially affecting the estrogen and androgen hormonal system. When introduced into cell culture systems during research studies, some phthalates, including BBP and di-n-butyl phthalate (DBP), acted as weak estrogens. This means that the chemicals would bind to estrogen receptors and induce estrogen-appropriate cellular responses. Phthalates can also bind weakly with androgen receptors, which prevents normal cellular function. In other words, phthalates fit into the same molecular slots in which other molecules in the body should fit naturally, which prevents the endocrine system from working as it should. Phthalates are a risk factor for cancer. The National Toxicology Program (a division of the US Department of Health and Human Services) lists Di (2-ethylhexal) phthalate as “reasonably anticipated to be a human carcinogen.” A study done in 2012 found that while most women had phthalate metabolites found in their urine, women who had been diagnosed with breast cancer had greater exposure to phthalates, particularly diethyl phthalate (DEP), which is often used in fragrances. Other phthalates seem to encourage tumor growth. In a 2004 study, phthalates BBP, DBP and DEHP were introduced into human breast cancer cells in an in vitro cell system. Not only did these phthalates significantly increase the tumor cell proliferation, they seemed to inhibit the anti-tumor effects of Tamoxifen, a commonly-used drug for treating breast cancer. Phthalates are present in many different types of plastics and cosmetic products, especially those to which fragrances have been added. Because phthalates are not chemically bonded to the plastic, phthalate-containing products are particularly dangerous when they are heated, which releases the phthalates into the surrounding air or water. This scenario happens quite frequently, such as hot food absorbing the chemicals from a plastic takeout container or shampoo releasing chemicals into the skin during a hot shower. You may be wondering why phthalates are in your shampoo if they are used to make plastic flexible. The answer may surprise and anger you as much as it did me: they are added to help the shampoo penetrate the hair and skin so that the fragrance lasts longer! Dryer sheets are another household item often containing phthalates. One of my kids’ greatest joys during winter was to warm their hands under the neighbor’s dryer vent after playing in the snow. As much as it saddens me to say, I’ve had to ask them not to do this because there are just so many chemicals such as phthalates being released from the vent. Hopefully when they are older they will understand (they are currently 2 and 4 years old). Other sources of phthalates include: perfume, hairspray, shampoo, vinyl toys, shower curtains (heated by hot water), mini blinds (heated from the sun), and food packaging. · So now that you know that phthalates are everywhere, what can you possible do to avoid them? One of the most common sources of phthalates in the home is food packaging. You should especially avoid processed foods that are designed to be heated in their plastic containers. A study done in 2011 found that avoiding packaged foods for just three days decreased the concentrations of the phthalate DEHP by half. Unfortunately, children have some of the greatest exposure to phthalates. The CDC found that phthalate levels are highest in children between the ages of 6 to 11. Young infants are also exposed to many different phthalates very early in life. Phthalate exposure during these critical periods of development can lead to unnatural consequences, such as breast development in girls before the age of 8. Everyone has a different metabolism and not everyone will process phthalates at the same rate. But regardless of your metabolism rate, we recommend that you do everything you can to eliminate your exposure to phthalates. The jury is still out on safe exposure levels, but one good rule of thumb is to say that if it’s not safe for pregnant women, it’s not safe for you. If you are concerned or wondering about your toxin burden (as I was since my children are approaching the high-exposure range of ages 6 to 11), we provide testing. We can test for your toxic burden with a simple urine sample test, the same method used for the testing done in the CDC studies mentioned above. If you have a high exposure but high metabolism, the tests may initially show a low level of toxins. Conversely, people with slow metabolism and normal exposure may show a higher level of toxins. We can show you how to limit your exposure and help your body increase its metabolism to rid yourself of toxins more quickly. Unlike a total detox program, this approach is a lifestyle change. We can also help you learn where you might be getting exposed to phthalates and help you eliminate those sources from your life. Call us today at 773.878.7330 or request an appointment online to discover your body’s toxic burden of phthalates and take the first step in reducing it.